This past few weekends have been rather crazy, and I seem to have the bloggers dilemma of having plenty of adventures to go on, but never enough time alone with my laptop to document it all. For those writers who have the self-discipline to get up early everyday just to write, I applaud you. Let’s be honest, I can barely get up in time for work every morning. The struggle is real. Any-who, this last weekend I spent some time in my old college town of Santa Barbara. I hadn’t been back since graduation, which was a total fallacy on my end. It was nice to explore the place I once called home through “real person” eyes. My friends and I kept laughing whenever I referred to us as “real people,” because, you know, college students don’t count. I’m not ashamed to say that I was afraid of things having changed so drastically that nothing was familiar, and that things might no longer feel like the place that I called home for years. 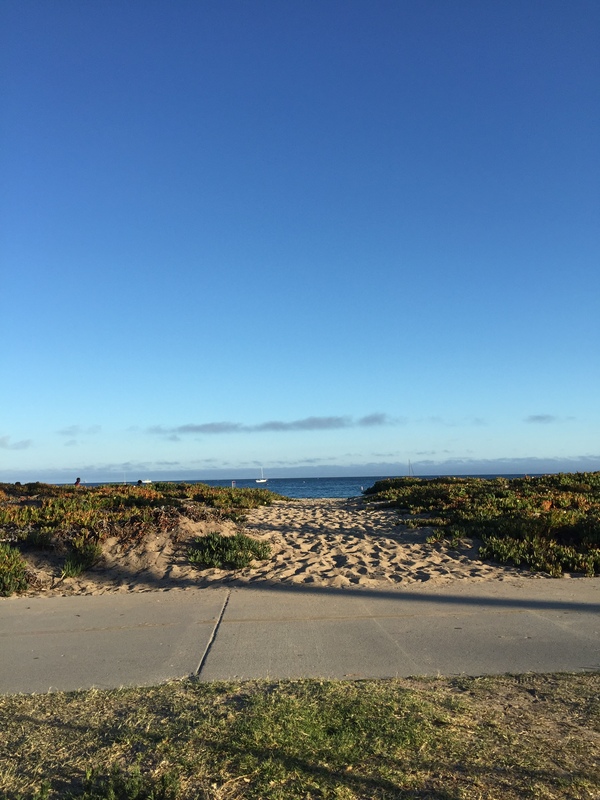 Things had changed, but everything still, reassuringly, felt like the Santa Barbara I knew. It’s still one of the best places to be, in my humble opinion. Now, brace yourself, here come all the beach photos! This little outcropping over the ocean was steps from my house, at one point. 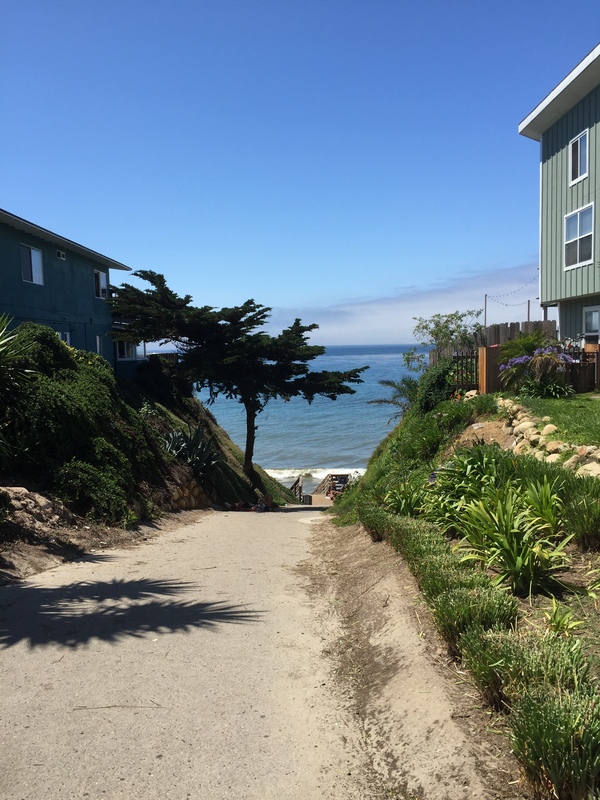 High tide at the beach in Isla Vista. 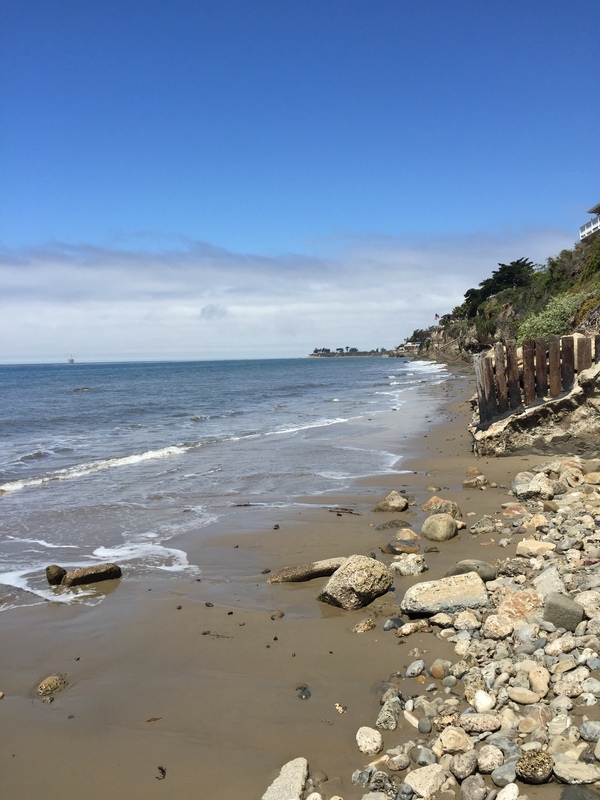 East Beach in downtown Santa Barbara. 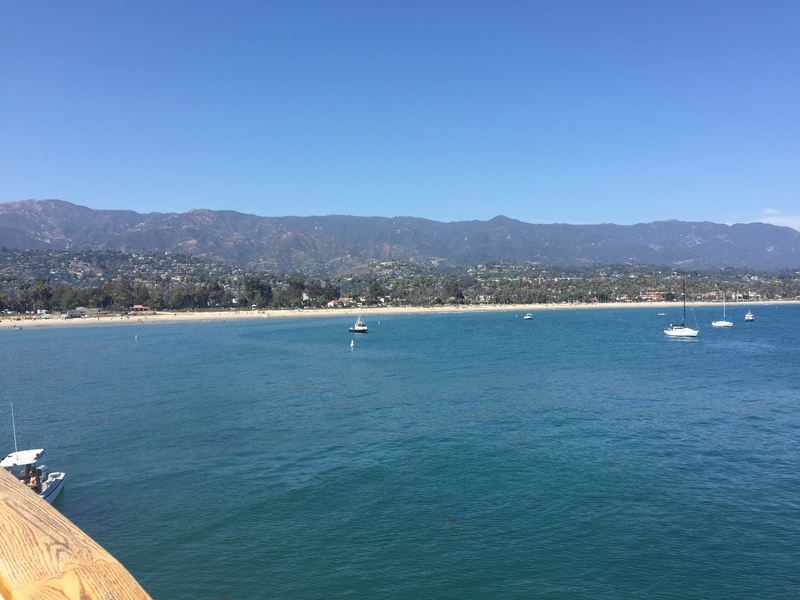 A view from Santa Barbara pier. 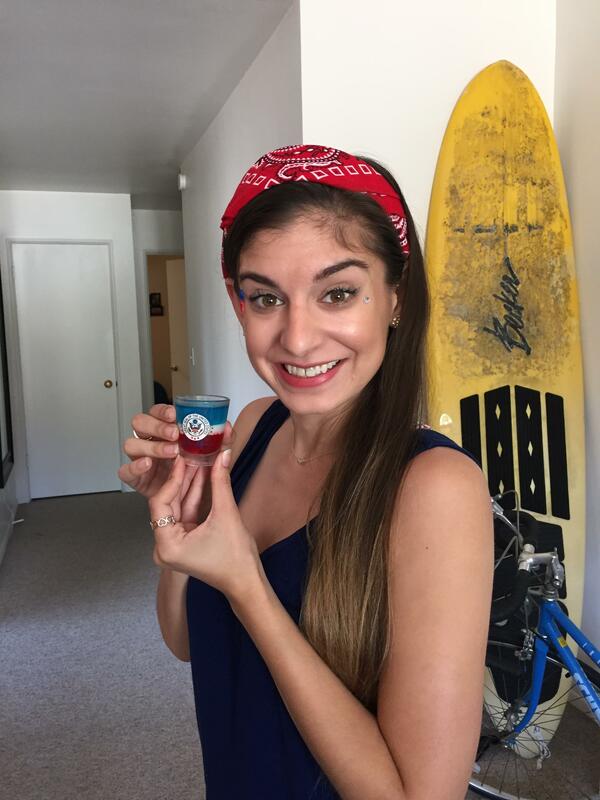 We also had some very patriotic fun over the weekend- fireworks, picnics on the beach, and red-white-and-blueberry jello shots. I was amused by the presidential seal coincidentally stamped on my shot glass. You also can’t get more Santa Barbara than a sandy surfboard and a bike in the background. and, of course, here’s the obligatory picture of fireworks! 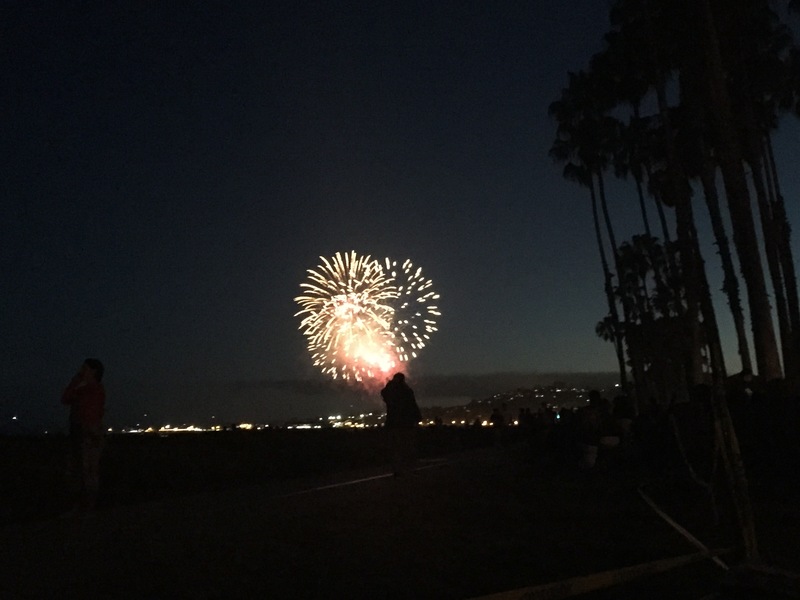 It wouldn’t be the Fourth of July without them. 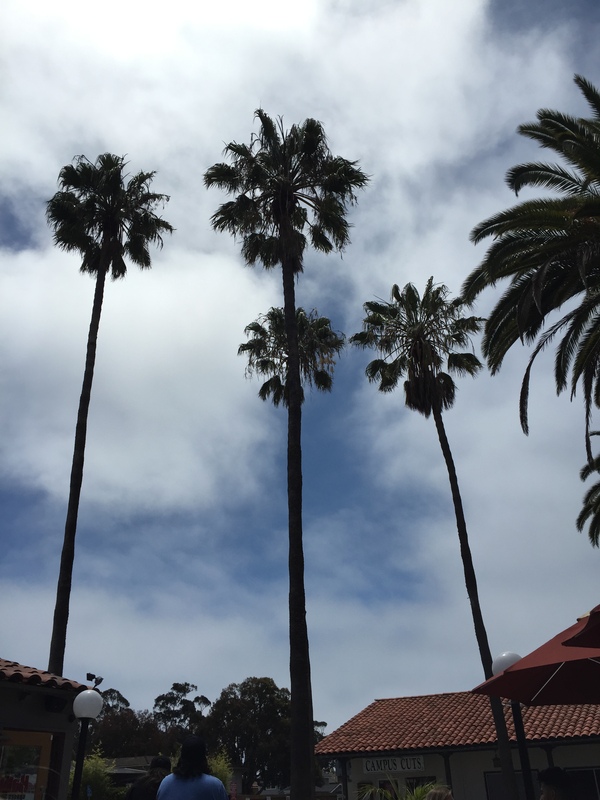 The best way I can describe Santa Barbara is purely through photos and anecdotes (though the ridiculous anecdotes might be for another blog altogether). While it’s not a small town by any means, you can walk down the crowded streets and still see familiar faces. There’s something special in that. Plus, everyone is ridiculously tan. 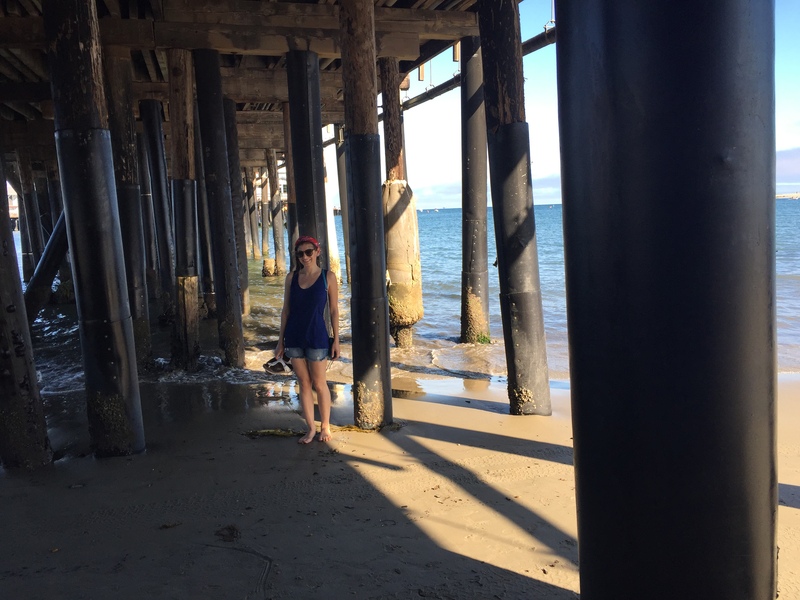 While I felt really pasty in comparison, thanks to the nonexistent San Francisco Sun, I remember those days when I had a permanent flip flop tan stamped on the tops of my feet. 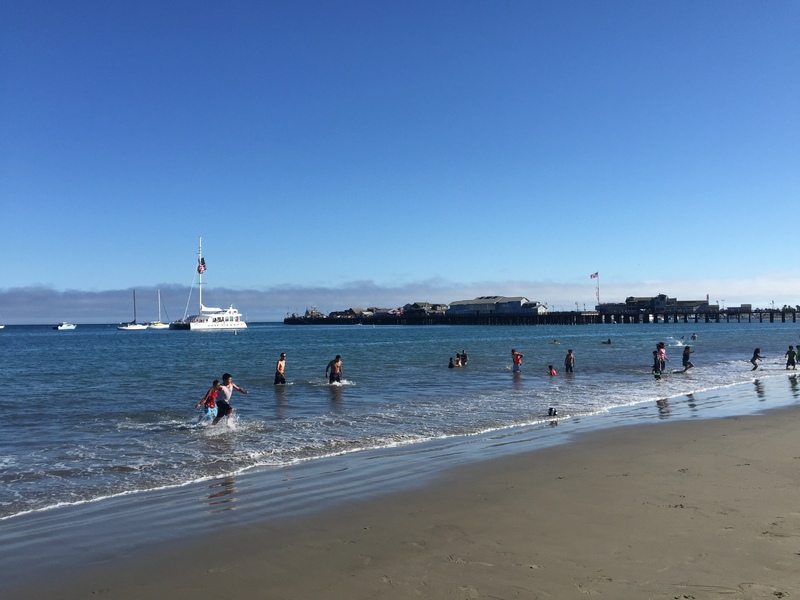 The vacation vibe you feel around town is what you get- even if you’ve lived there for years, you can still throw on a swimsuit, head down to the beach and feel like you have no worries. I’ve decided I certainly can’t let another six years pass by before my next visit.